Technology has increased so much that one cannot live without a Smartphone as it has many Apps which can enhance your Experience & can reduce your efforts. But what if you have lost your Smartphone somewhere? If that’s the situation, don’t worry, cause in this Article I’m going to tell you How To Track Lost Android Phone Without Any Tracking App. The method I am going to tell is one of the Best & Easiest Method to locate your Lost Smartphone In Just One Click. This method doesn’t require your phones IMEI Number, you just need to be connected to your Google Account & Internet Connection. There are many Apps available on Play Store which can help you to find your lost phone easily but most of the people realize it after losing their phone. So, here I am back with a helpful Article that can help you to Recover your Lost Phone without any Tracking App. 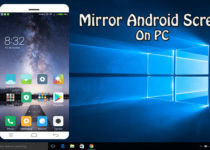 There are many methods available for finding your lost phone but here in this Article, I’m going to tell the Best Method to Recover Your Lost Android Phone without Installing any Tracking App. So, let’s proceed further and check out How To Track Lost Android Phone Without Any Tracking App. There are many methods using which you can recover your Lost Android Cell Phone & the Best methods is by using Andriod Device Manager. Android Device Manager, also known as Google Find My Device which is Google’s Official Tool to Track Your Cell Phone. It’s very easy to use and can locate your location very easily. So, before we begin, let’s check the requirements you need to Track Your Cell Phone. Internet Connection Must be Enable on your Device. Your Device Must be Login to your Google Account. These are the requirements which your Smartphone should meet to Locate your Device. To Track Your Cell Phone Just Visit Android Device Manager & Login with the same Gmail Account which is logged into your Phone. 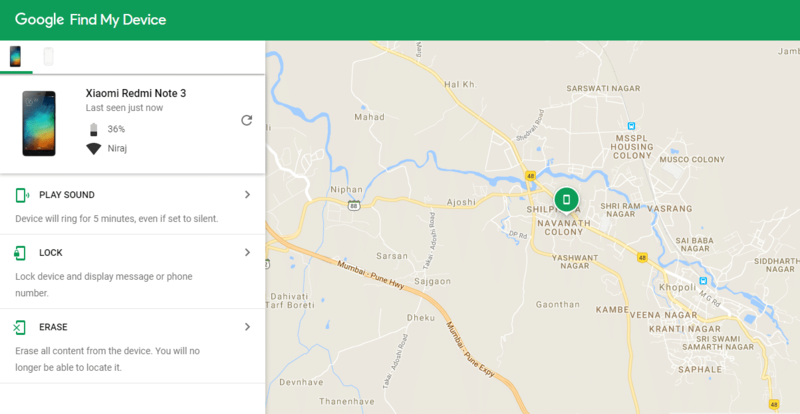 Once you logged in, it will automatically try to track your Phone & Once it is tracked, you can check the location of your Phone on Google Map. 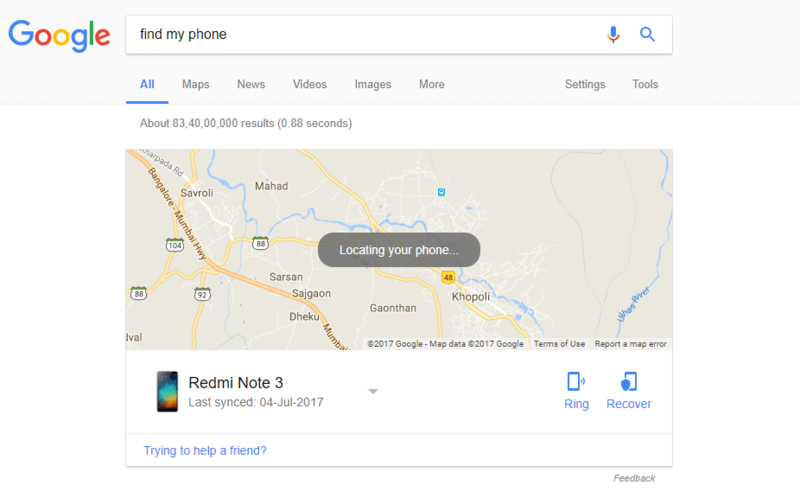 Also, you can now quickly locate your Phone right from the Google Search Result by searching the keyword “Find My Phone” OR “Where Is My Phone“. Google will show the Map right below the search result as shown in the figure below & once your phone is located, you can Click on Ring or Recover button from bel0w. 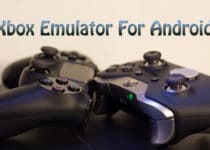 It is a convenient method but with least option, to get full access head over the Android Device Manager. Now it will try to Contact your Device which can take some time. Also, Make Sure you have selected right Device from the option above. After connecting the device, it will show you the Location of that Device on Google Map. Check the Screen Shot Below. As you can see in above Screen Shot, It has tracked my phone and shown me the location of my Device. There are also three Options available Play Sound, Lock & Erase which can help you in multiple situations. Suppose you have kept your Phone somewhere in the room and can’t find it then Play Sound will help you to find your Phone. It will Ring your Phone continuously for 5 minutes in the loudest Volume even if your Phone is in silent mode. So, now you don’t need to worry if you have lost your phone even in your own room. If your Phone is unreachable, then you can use this option to lock your Screen. If you don’t have any pattern lock or number lock then also you can lock your Phone using this option. Also, you can leave a message on the Screen about your contact info so that if found by someone he/she can contact you. Also, you can leave a message on the Screen about your contact info so that if found by someone he/she can contact you. If you have any confidential data on your Phone which you don’t want someone to see, then you can use Erase Option to completely wipe your Data in One Click. It is the best option to complete erase your whole data present on your Smartphone. Using this method you can easily recover your lost phone. 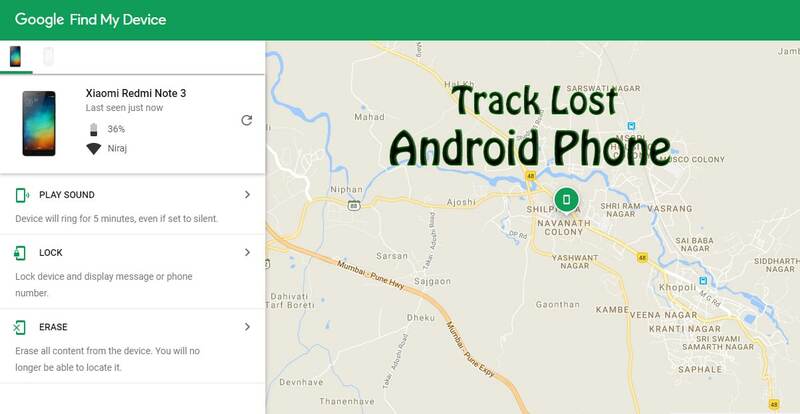 Hope you liked this Article On How To Track Lost Android Phone Without Any Tracking App. Do Comment below if you have any query. Stay tuned with us for more latest Tricks & Updates.